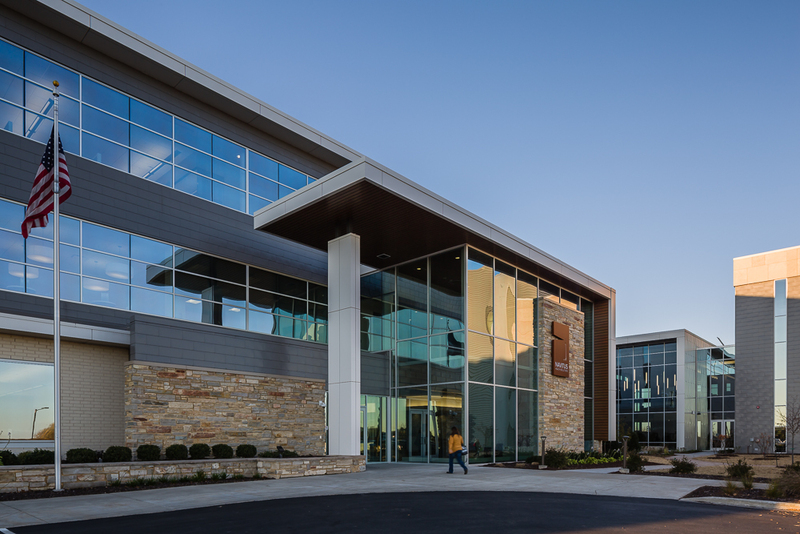 As planned, this 115,320 square foot addition includes multi-purpose common spaces at the connection between the original building and new addition, and acts as the living room or town hall for the complex. The atrium will be used for dining, meeting space, and special event space. 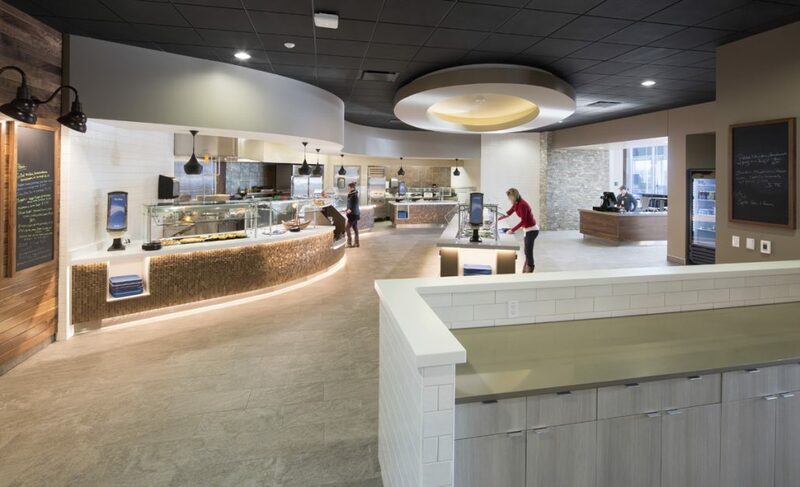 A food service area provides healthy food choices along with convenient grab-and-go options, a coffee bar and make your own lunch kitchen area. 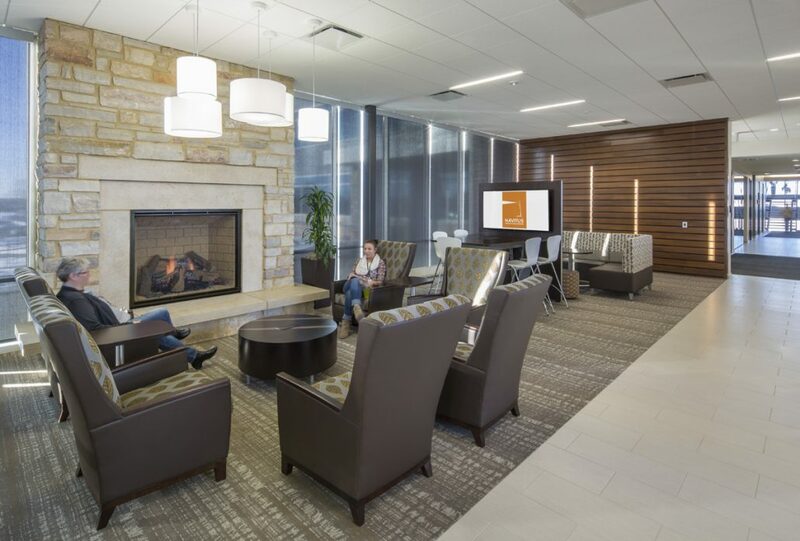 The atrium has glass on three sides to provide ample daylight as well as two fireplace lounge areas with technology to encourage informal meetings. 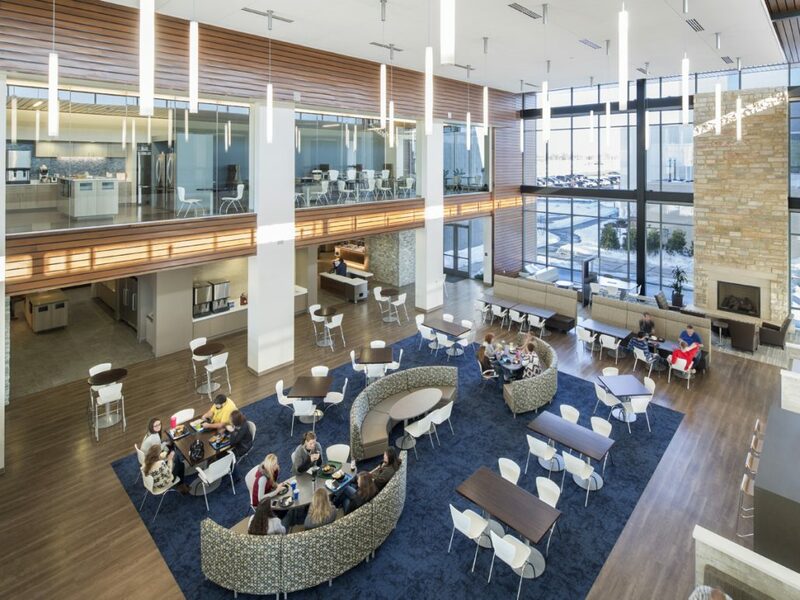 The interior office areas are designed to maximize flexibility and provide access to natural light. 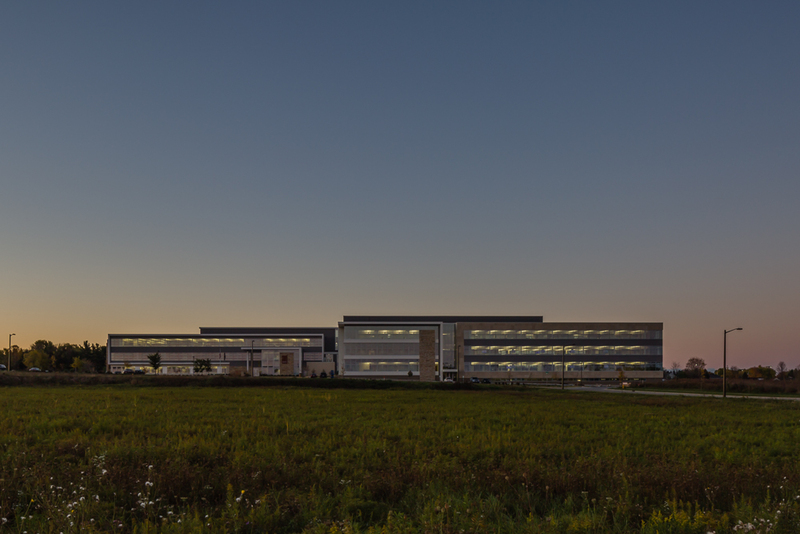 Most offices are located on the interior with workstations located on the perimeter. The narrow east west orientation of the floor plan has full height windows that extend to the ceilings allowing superior daylighting to the entire space. 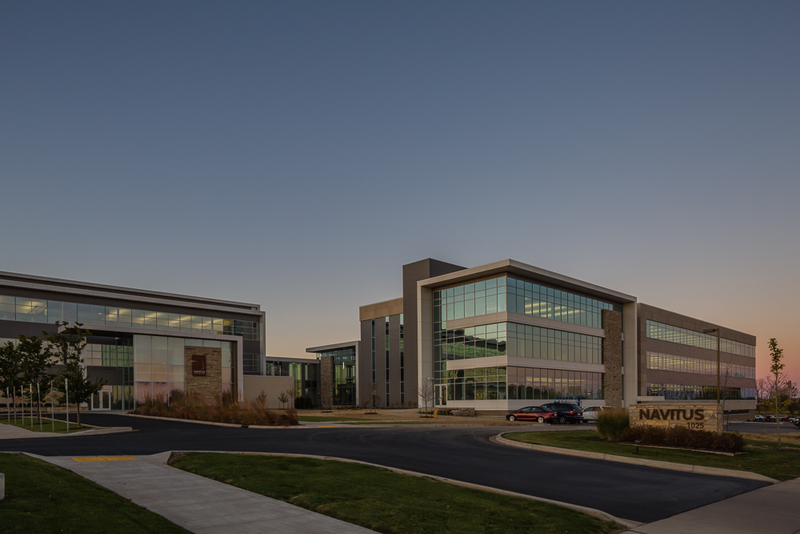 The addition allows Navitus to expand all aspects of the Grand Chute operations including the call center which more than double its current size and will move to two floors of the new building. A fitness center with showers and lockers is located on the ground floor to allow staff to utilize the walking paths on site.